The event is at the Pitzer Center, UC Davis Campus. Parking on the UC Davis campus after 5:00pm and on weekends is free. The directions above lead you to Visitor Parking Lot 5, one of the nearest parking lots to Sproul Hall. 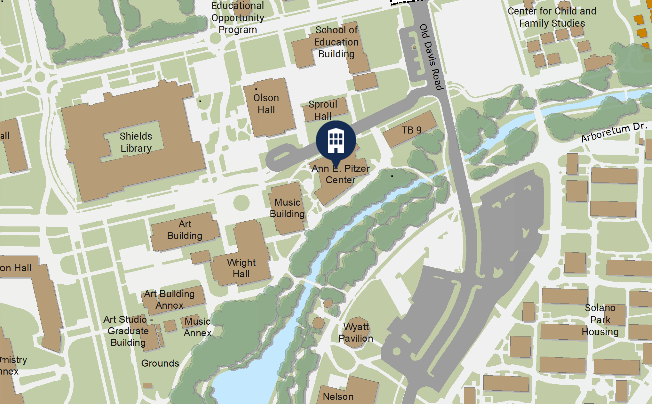 Please see the map below to view Visitor Parking Lot 5's location (marked by the "P" in the circle) in relation to Sproul Hall.